Multi purpose datalogger with up to 16 channels. can use different probes even remote each one with is specific interface. You can install your probes everywhere in your plant and transmit over your network your data. Language: English, French, Italian, Spanish, German. 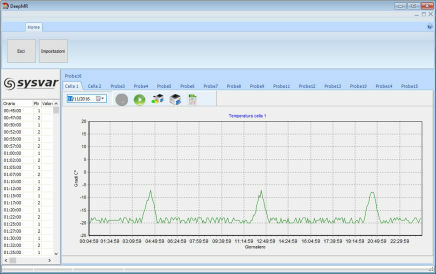 Specialized datalogger interfaced with B+L instruments. It's used in weighing system to verify the repeatibility of weighing systems. 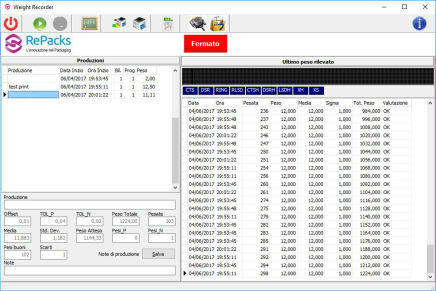 You can control your production lot and at the end have statistics or export data to your management system. This software may be personalized for use with other instruments. 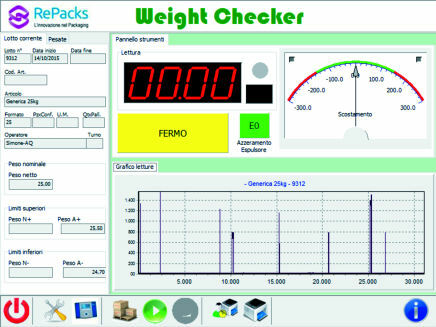 At the end of the filling line this software control, record and discard if necessary the items. This kind of control certify the correct function of the dosing machine. This can be legally validated bacause it interface a homologated instrument B+L used for weighing purpose. 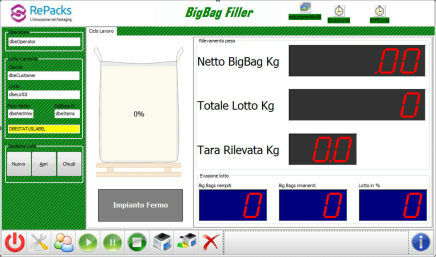 This is a control software used in bigbag format filling . It has a lot management capabilities and help the operators to get a track of this heavy work. With this software you can check up to 100 endpoints. For each endpoint you can view alarms send actions or start a ip cam to view the area. You also may have counters to track production. 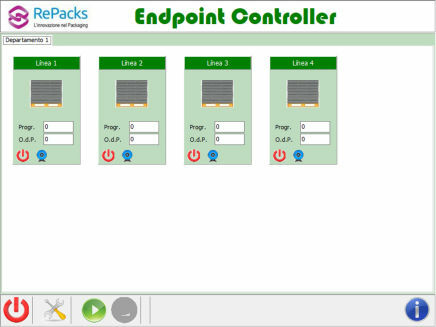 You can configure up to 10 areas with a maximum of 10 endpoints each. Each area can have a name and each endpoint also. LAN and hardware are required.